baked goods + mason jars. 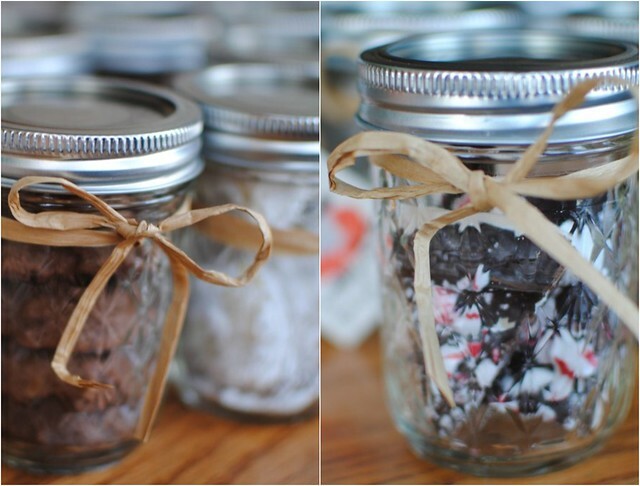 I never get tired of sweets in mason jars and I thought it would make a perfect gift for my friends this year. 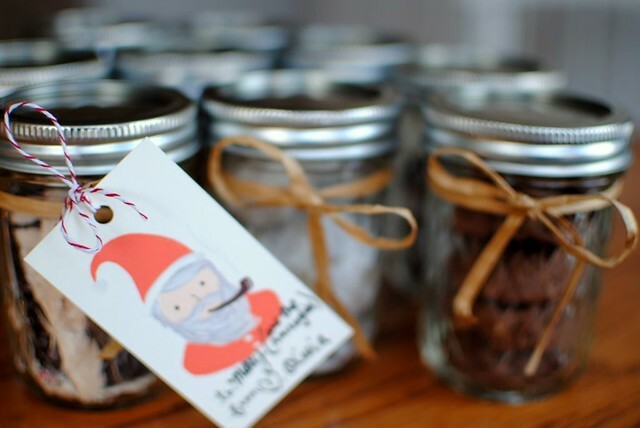 I filled the jars with Mexican wedding cookies (Nan Nan makes them every year), dark chocolate walnut cookies and peppermint bark. (The adorable-santa-smoking-a-pipe gift tags are my favorite part). P.S. 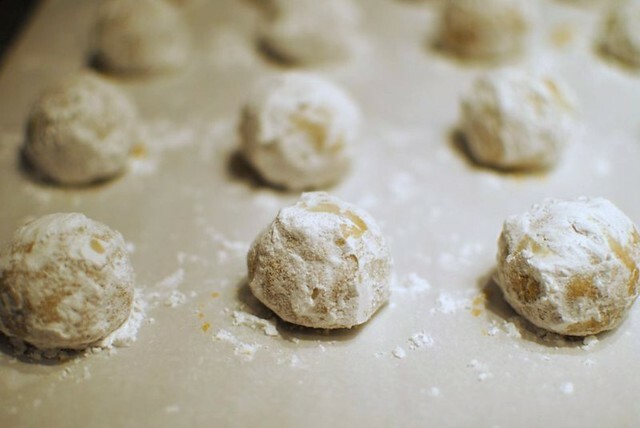 The sweetest Christmas song.